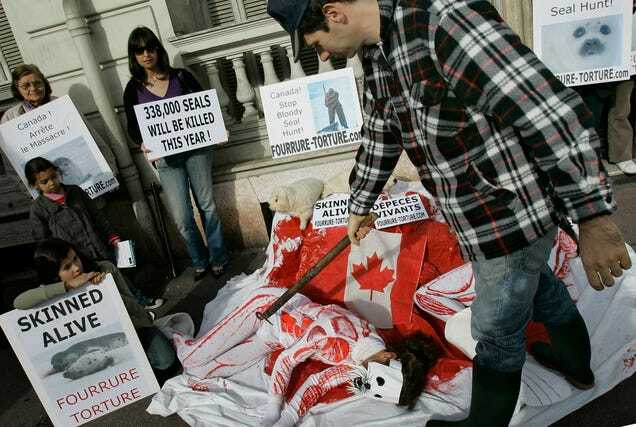 Canada’s seal hunt started on April 9, but in the days leading up to the annual cull India announced a ban on seal fur. It joined more than 30 countries including the EU and the U.S. It’s just the latest sign that the seal hunt itself could be endangered. According to National Geographic Canada sold $18 million worth of seal products in 2006. Ten years later that figure had dwindled to less than $1 million. Canada still subsidizes the hunt, spending millions of dollars a year on it because they say it helps control cod populations and also boosts indigenous and coastal communities in Canada. Scientists say seals are not responsible for small Cod stocks. As more and more countries ban seal products the industry is increasingly relying on domestic sales. And that just might not be enough to keep it viable in years to come.